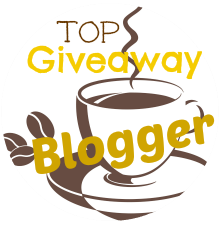 Couponing Momma Giveaways & Reviews: Treat Mom to Caviar this Mother's Day! Treat Mom to Caviar this Mother's Day! Still looking for that perfect Mother's Day gift? How about a day of good eats with Caviar? What better way to dote on Mom than with a day filled with all her favorite foods? 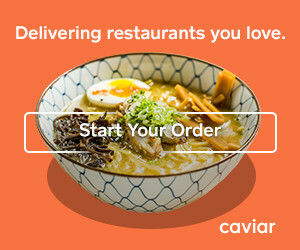 And since Caviar delivers directly to your doorstep, you won't have to scramble for a reservation or break out the pots and pans to make it happen! You can pre-order breakfast, lunch, dinner, and even dessert! This way, you can wine and dine Mom without you or her having to lift a finger. Victoria's Diner in Boston. If she's a breakfast-in-bed type of gal, she'll adore Victoria's. They have a delectable breakfast selection, including Traditional Eggs Benedict, Buttermilk Biscuits and Sausage Gravy, French Toast, Waffles, Eggs and homemade corn beef hash ..., anything Mom could want for breakfast. Blossoming Lotus in Portland. Their vegan cuisine will delight any health-food loving mom. We're talking Thai-spiced barbecue soy wraps or super greens with steamed kale, cucumber, asparagus, avocado and quinoa. Nutritious and delicious! Little Chihuahua in San Francisco. Stir up some margaritas, because this Mexican-inspired taqueria will have mom toasting you for ordering such delicious food. She'll love their tortilla soup, enchiladas, tacos, and tostadas. Salud to mom! Beiler's Baker in Philadelphia. Named one of America's Best 20 Dessert Spots, they've got everything from melt-in-your-mouth donuts to cakes fit for a queen.